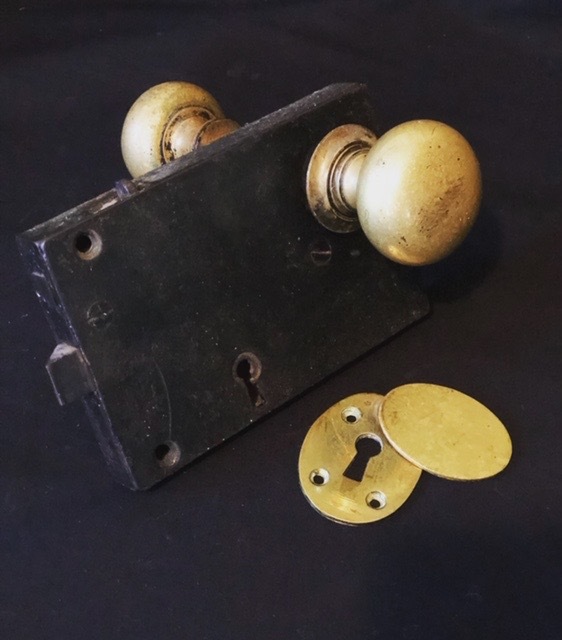 Vintage solid brass hardware set. Solid brass door knob measures 1.75" diameter. Mortise lock and keyhole with swinging cover.